When I was in a Barnes & Noble store recently, I saw a sign that made me do a double-take and head for the small table it was sitting on. Amazing! Were they making those things again? Maybe I shouldn’t have been surprised. A friend in Australia had once told me that records have much better sound quality than CDs. Although skeptical, I tucked that fact–or perhaps it was just his opinion–away in a seldom-accessed part of my memory. I’d certainly had a long love affair with vinyl recordings. While I was still a pre-teen, the church my father pastored gave us a nice stereo. Our first one. I’ll never forget heading to a record store with just enough money to buy four or five 45 rpm records. Since I’d started listening to popular music on the radio sometime previously, I knew just what I wanted. I bought the Everly Brothers’ “Bird Dog,” Sheb Woolley’s “Purple People Eater,” and Elvis’s “Hardheaded Woman.” I can’t recall what else I got, but I left the store feeling pretty embarrassed. A friend had told me to ask for records recorded only on one side. He said they were cheaper. And I believed him. Oh, did the store clerk laugh at me. Over the years I continued building my collection of 45 rpm records and added the first two albums by popular guitarist Duane Eddie to my collection. I’ll never forget taking a car trip with my parents with one of those albums on the floor of the back seat. Turned out something in the exhaust system was faulty and its heat came through the floorboard and melted my precious album. As devastated as I was, I have to credit my parents for making things right again by buying a replacement album. I was starting to get tired of pop rock during the early sixties, and when the Beatles came to the United States the first time and I saw them on the Ed Sullivan Show, I was not only not impressed; I was depressed. Was this what rock had come to? I traded my entire collection of 45s for an album a friend had. Not one of my better trades. As much as I love movie music, the music from “Lawrence of Arabia” did nothing for me. Oh, well. My parents had a good collection of classical albums, and I enjoyed listening to those. But then folk music started becoming popular, and I started buying records again. Mostly albums. Pete Seeger. The Chad Mitchell Trio. The Kingston Trio. The Brothers Four. Leadbelly. Ian and Sylvia. At a concert in college I was introduced to the Pozo Seco Singers. (I wouldn’t learn until years later that one of the guys would become well-known as a soloist, Don Williams. I’ve recently begun corresponding on Facebook with Susan Taylor, the group’s only woman.) I almost wore their records out. I hope I’m not boring you with this trip down memory lane. 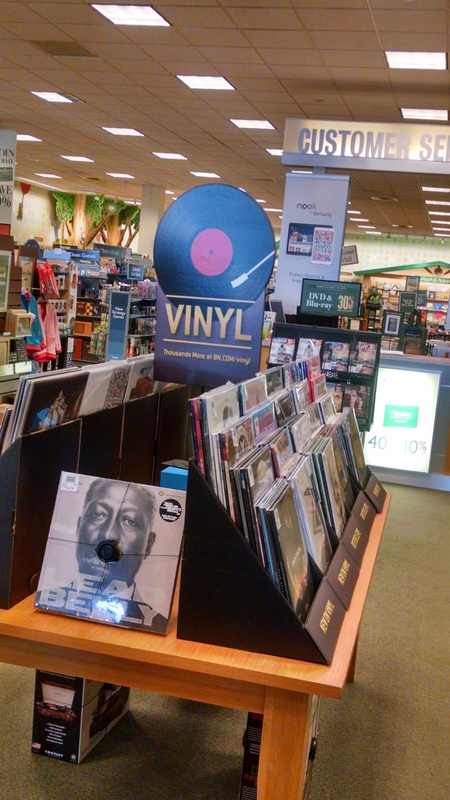 When I decided to write about finding vinyl albums at Barnes and Noble, I had no idea I was going to share my personal history with records. And I think I’ve already said enough for one day. I’ll finish this topic on Sunday. Are you old enough to remember records? What were your favorites? Do you have any special memories you associate with them? Please share with a comment. If you’d like to receive my posts by email, go to “Follow Blog via Email” at the upper right. 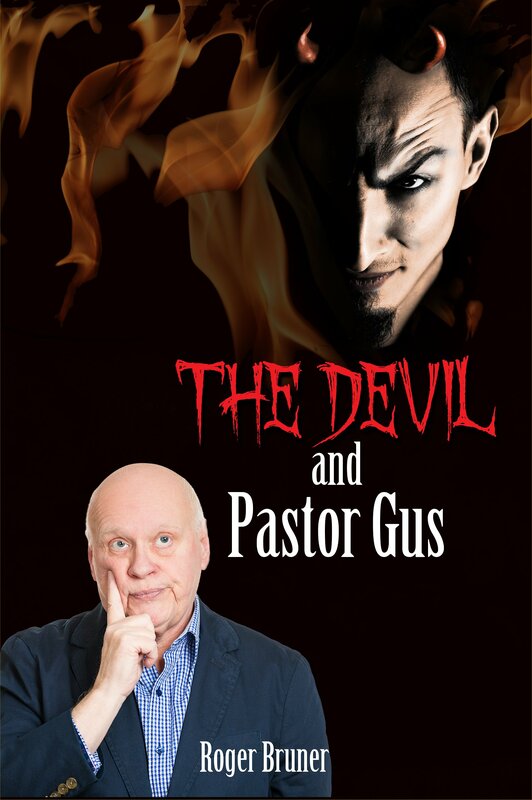 This entry was posted in Barnes & Noble, Popular Music, Pozo Seco Singers, Vinyl Records and tagged As I Come Singing, Free Christian Lyrics, On Aging Gracelessly, Roger E. Bruner, The Devil and Pastor Gus, Vinyl Records, Vinyl Whats?. Bookmark the permalink.